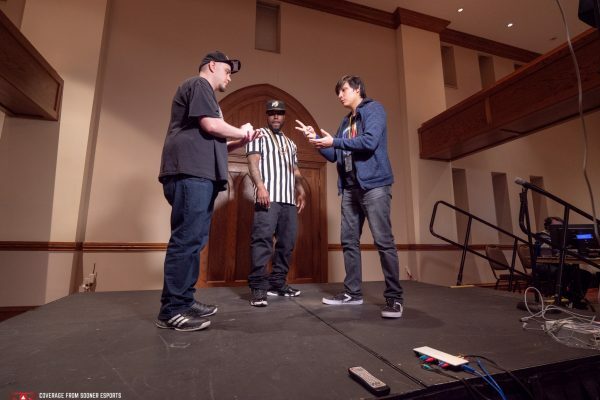 Super Bit Wars reached new heights this year with the highest amount of attendants to ever come to the event. 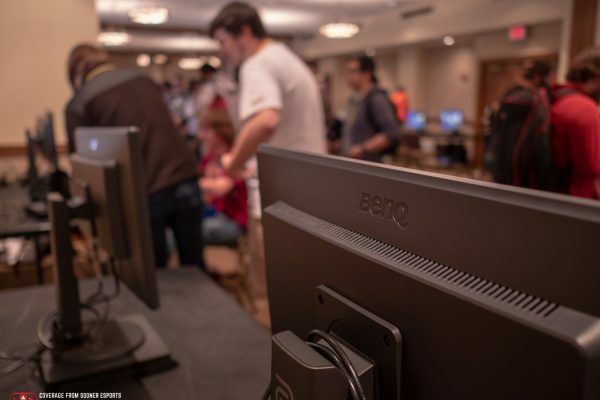 “It was the largest event in OK gaming that I know of,” said Pooyan “Rice,” one of the tourney organizers. The event took place all day, March 30th. 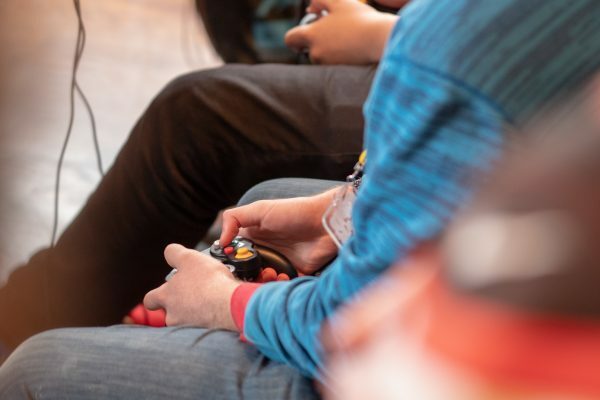 And players traveled from Kansas to Texas and even Utah to play games and compete for a cumulative pot of nearly $8,500. 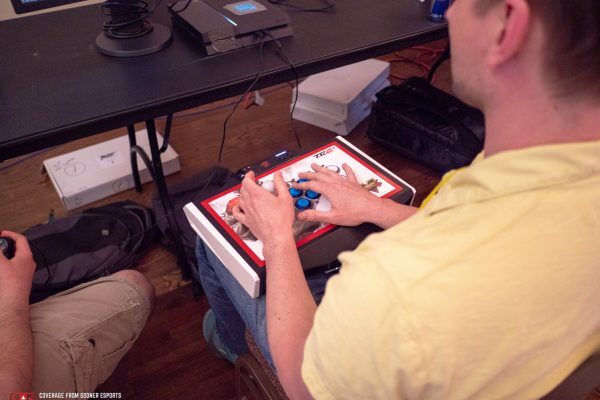 Games and buttons were being pressed everywhere. 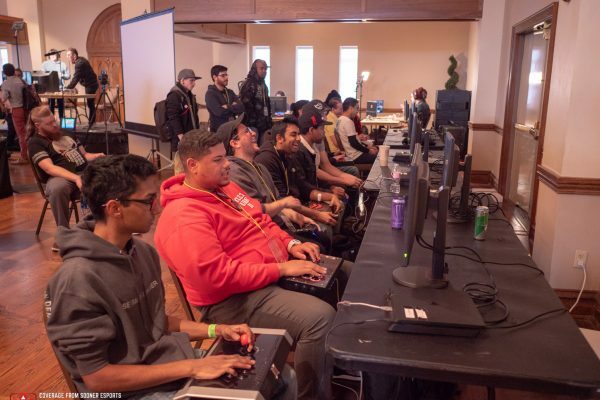 From the newest games like Smash Ultimate and Soul Calibur 6 to truly retro classics like Street Fighter 2, this event brought together competitors for those games but also a community of gamers from all over and of all ages. When interviewed, multiple competitors and attendees spoke highly of OU’s campus and venue. 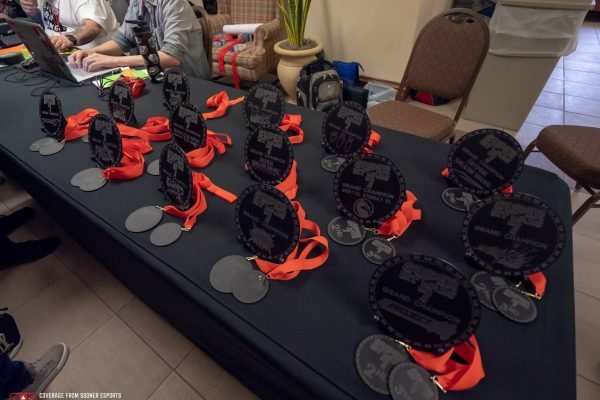 “I don’t feel claustrophobic at all, this is one of the largest spaces I’ve competed in,” said one competitor who had come with his team for their first year at Super Bit Wars. 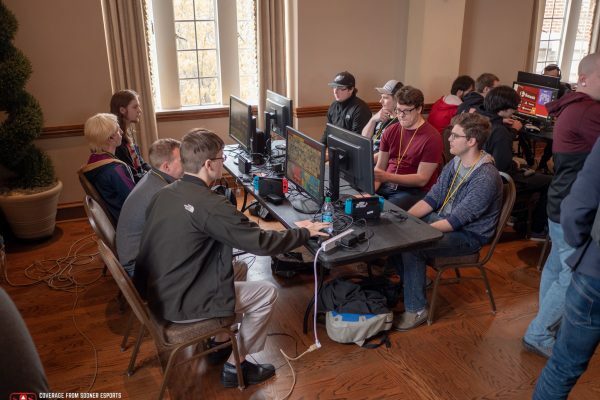 The event was hosted in the Molly Shi Ballroom at the Oklahoma Memorial Union as well as adjoining rooms to provide more space to compete. 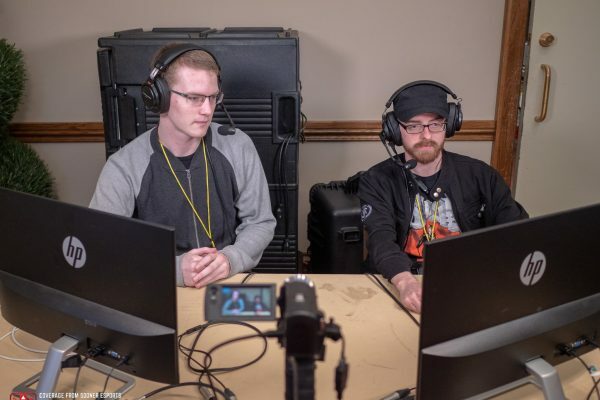 “We will definitely be returning next year!” Both he and his team travel across the US to compete in tournaments throughout the year, Super Bit Wars being around their third so far this year. 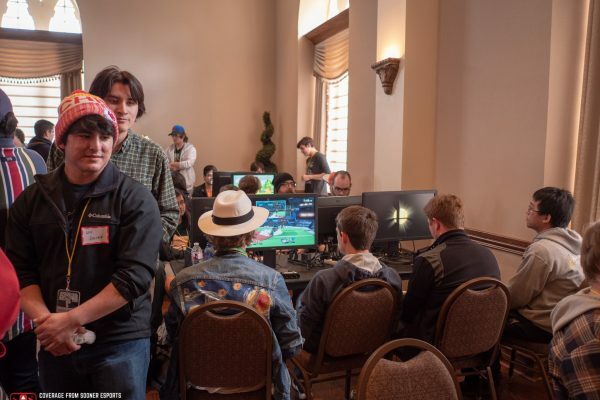 Others who play in tournaments around Oklahoma gave praise to the organizers of the event whom they knew well from other tournaments. “Those guys are amazing and they’re running this thing so well and on time,” was heard from multiple sources. The sheer friendliness and communal support was felt throughout the event and welcomed newcomers with open arms. 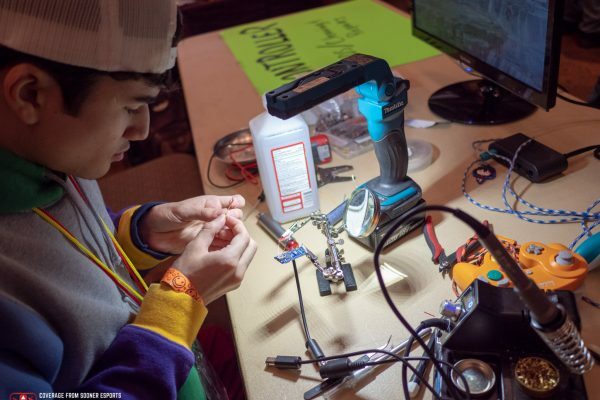 The community and Super Bit Wars itself continues to grow with each year. 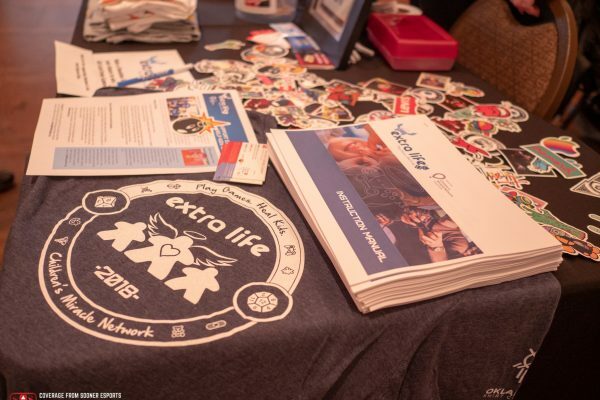 This year saw numbers upwards of 400+ physical attendees with more than 900+ digital attendees. 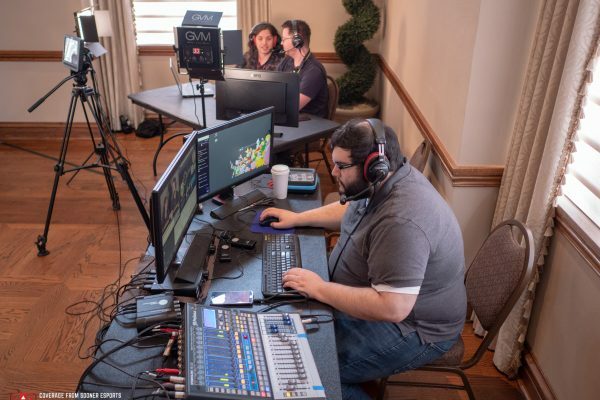 By broadcasting with commentary, Super Bit Wars was able to reach those who could not be here on OU’s campus. 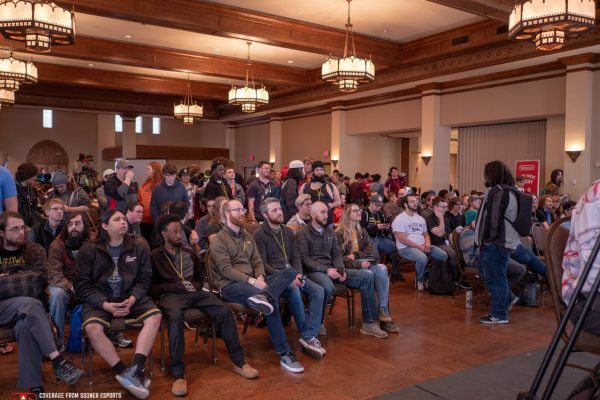 And despite the large turnout, multiple events, and even a minor power outage, the event was able to run well and even on time. 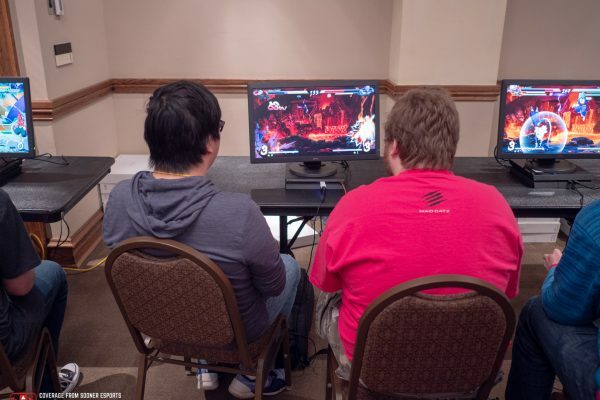 There were many memorable moments: the crowd, the chants, and not to mention the high level of gameplay. State rivalries were on proud display. Trash talk was shouted across the aisle of chairs facing the main stage. 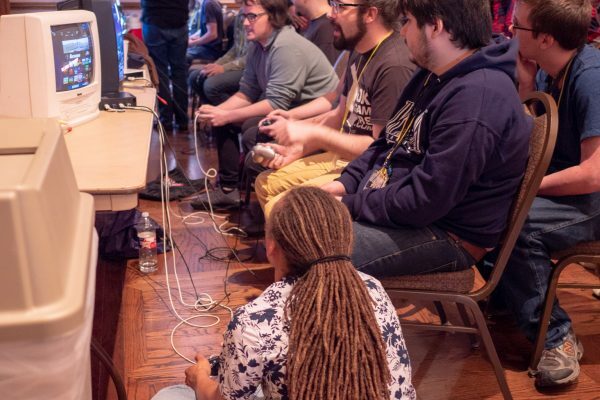 “Kansas4ever” was a common tag or battle flag for those coming from the northern border state to play Smash Ultimate. His cousin was presumably from Kansas. But Pooyan says there is mutual respect between the nearby states. 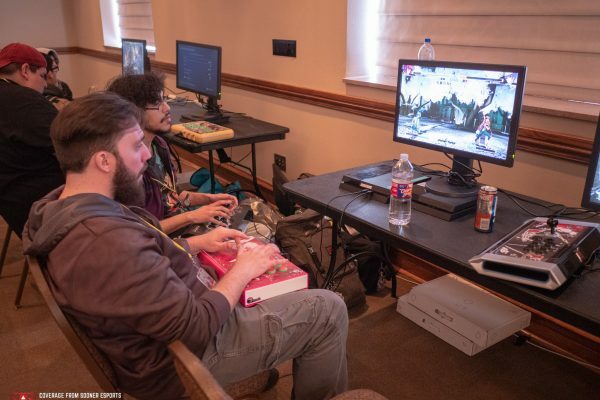 The results of the tournament can be found on the event page. 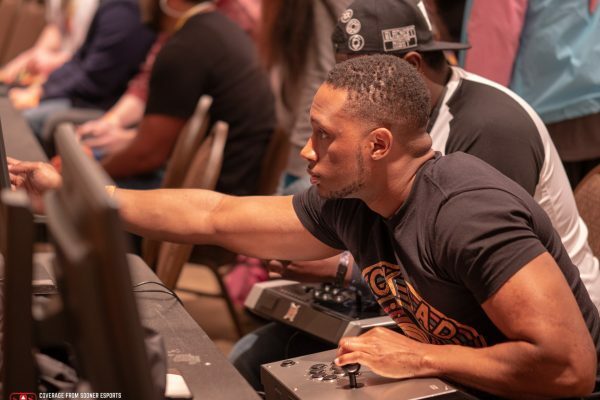 More Local players, MVD and Ray Bone Killah, took first in Smash Ultimate and third in Tekken 7 respectively. 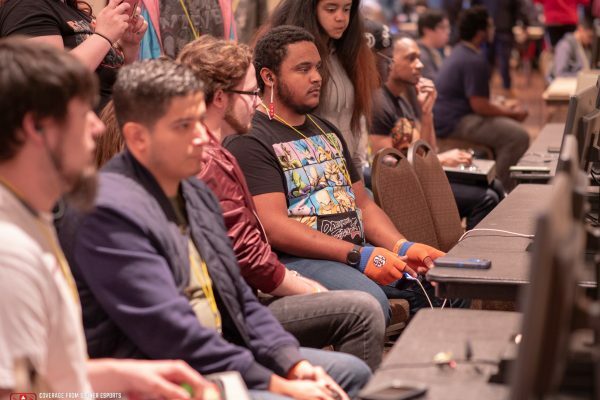 When answering about how he felt during the tournament, MVD was confident and cool. 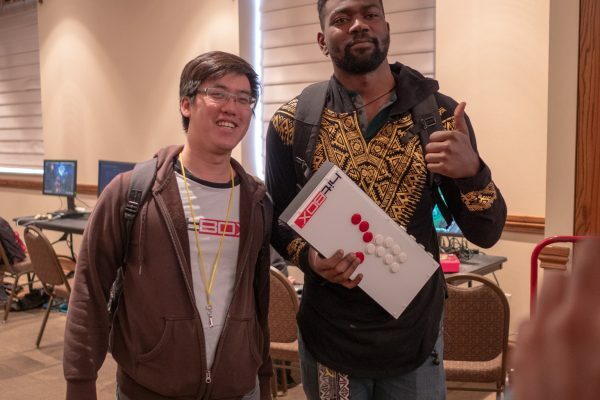 He later played a great Grand Finals set with Awestin. 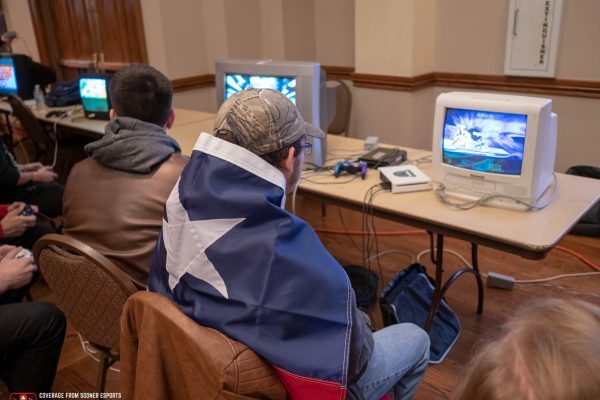 But at the end of the day, win or lose, the important thing was bringing together a community. 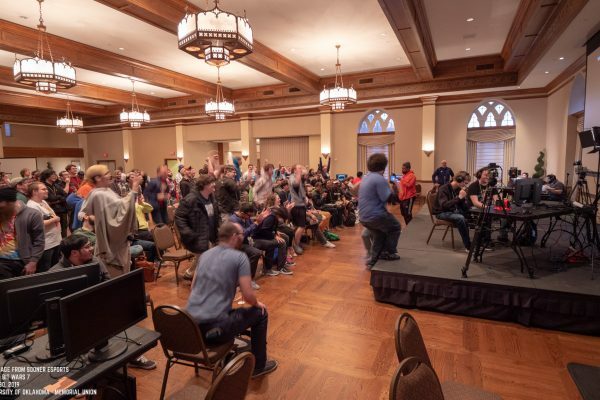 Because, as with every Super Bit Wars, this year’s event was in honor of Forrest “Solidus” Sharp, an OU student who helped originate the event in the hope of uniting the Oklahoma FGC. 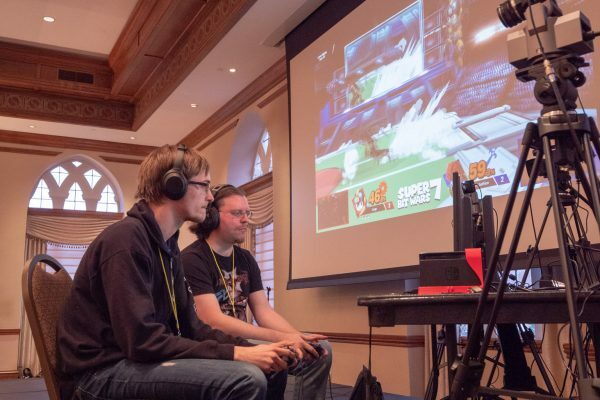 To read more about how Super Bit Wars came back to OU after their hiatus, click here. 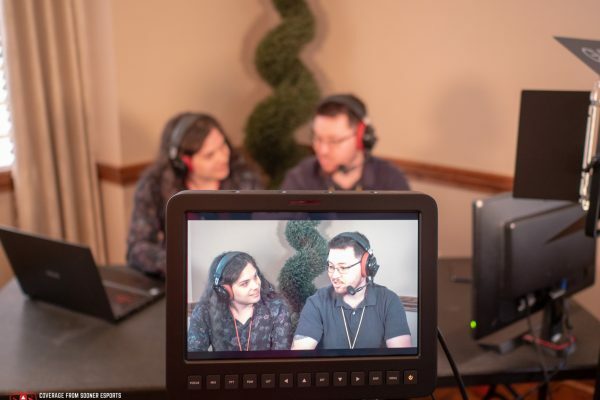 To read our preview for Super Bit Wars 7 where we sat down with some of the tournament organizers, click here. This article was written in collaboration between two of our writers, Courtney Johnson, and Matthew Viriyapah.